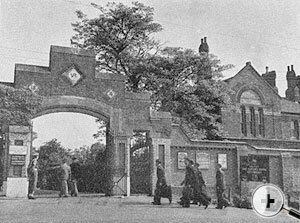 The Depot continued as, a training centre but on a much reduced establishment. 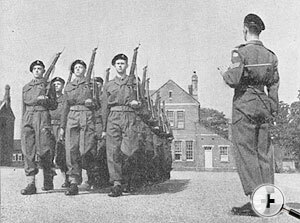 The outbreak of the Korean War and the continuing Malayan Emergency saw the Depot on a full training programme of recruits. 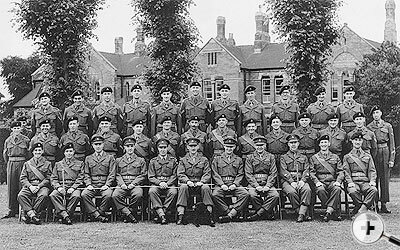 Recruits included Michael Caine the actor. 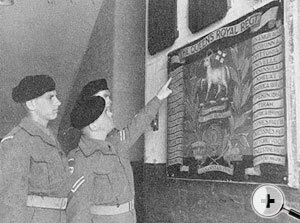 A large number trained at the Depot saw active service with units in Korea and the 1st Battalion of The Queen's during their three and a half years tour in Malaya. Sadly, some never returned. New recruits arriving. Looking round the Depot, here by the Medenine Gun. 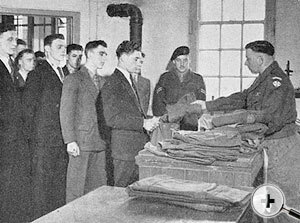 Receiving their uniform & being kitted out. Visit to the museum. On the barrack square. 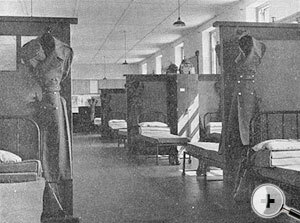 Barrack room layout. 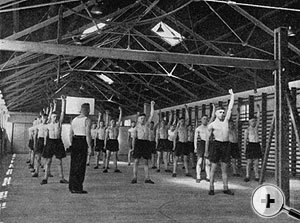 Physical training. 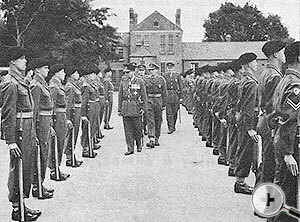 A passing out parade at the Depot. 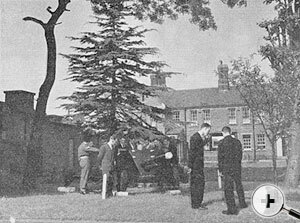 In 1953 The Colonel-in-Chief Her Majesty Queen Mary died.